"Mark Twain Lives! 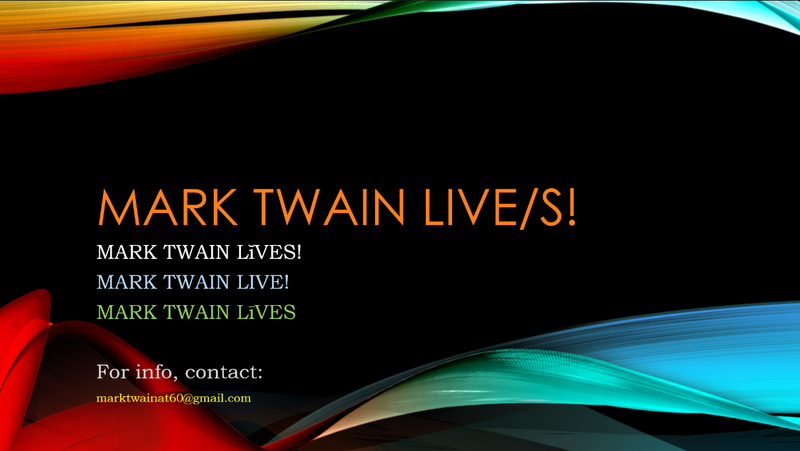 Intro Part 1"
"Mark Twain Lives! 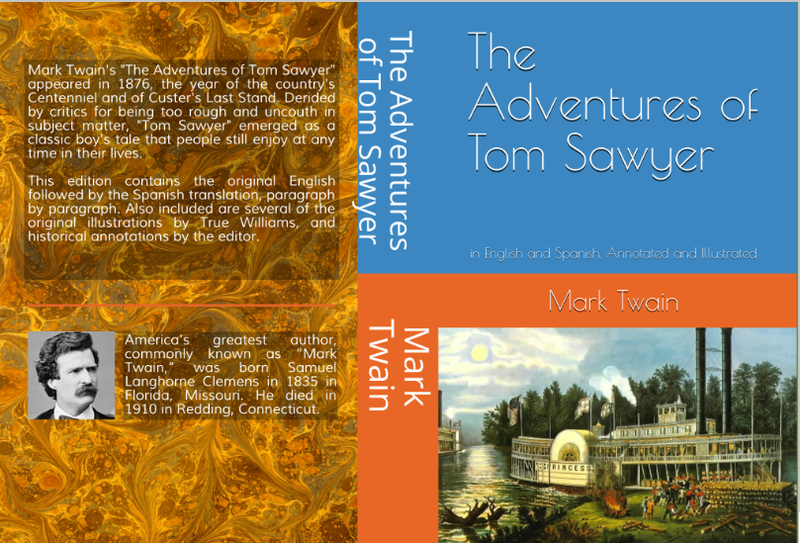 Intro Part 2"
For English speakers learning Spanish, and vice-versa, I have created a dual-language version of Mark Twain's classic, "The Adventures of Tom Sawyer." Each paragraph is presented first in the original English and then in the Spanish translation. It also contains about 20 of the original illustrations (by True Williams) and is sprinkled with contextual/historical annotations throughout (by me, a Twainiac and amateur historian). I have lived in eight states; besides my native California (where I was born and where I now again reside) in chronological order I have infested: New York, Montana, Alaska, Oklahoma, Wisconsin, Idaho, and Missouri. I am a writer of both fiction (for which I use the nom de guerre "Blackbird Crow Raven", as a nod to my Native American heritage - I am "½ Cowboy, ½ Indian") and nonfiction, including a two-volume social and cultural history of the U.S. which covers important events from 1620-2006 and can be downloaded gratis here. 34 Potential legal liability when answering a hacker's or terrorist's question? 45 How do I view the full path in search results? 29 Why are the French and Indian Wars / Seven Years' War not considered WW 1? 29 Is it true that earthquakes are not felt in a cave? 24 What does Mark Twain mean by "cheers and a tiger"? 22 Why is "Santiago" the equivalent of "James"? 18 Are there any benefits to removing unused using statements in a VS project? 17 What is the opposite of an epiphany?